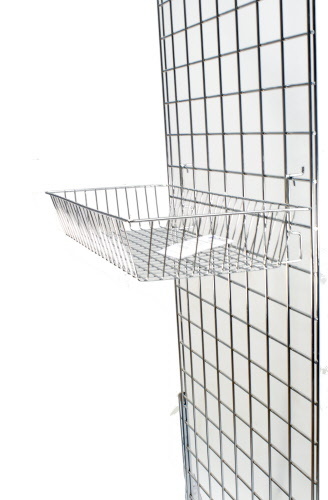 Chrome plated basket Will fit Slatwall, gridwall Panels or Mesh Panels. 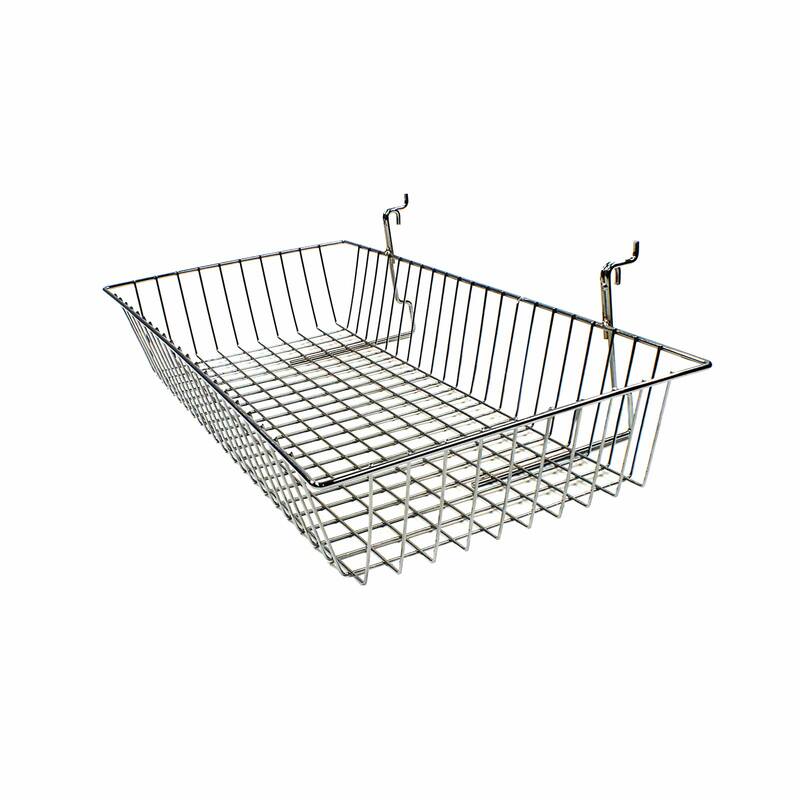 Please note, that this basket does not fit on aluminium inserts. 24" wide by 12" deep x 4.25" tall. (609mm x 304mm x 110mm).